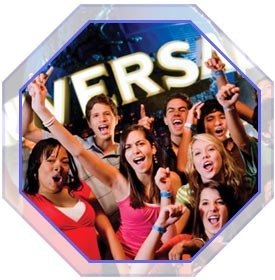 Universal's Grad Bash is the ultimate graduation celebration for today's seniors, encompassing BOTH Universal Studios and Universal's Islands of Adventure theme parks. With cutting-edge rides and attractions, the hottest musical performers, multiple dance zones and more-it's a party only Universal can throw! Plus, we let chaperones in on the fun with FREE EXCLUSIVE UNIVERSAL EXPRESSSM ACCESS (enabling them to skip the regular lines at most rides and attractions), the popular chaperone-only lounges, giveaways and more! Here is what to expect for 2019. Copyright © 2007-2018 by 1st Stop Group Travel Planners, Inc. - ALL RIGHTS RESERVED.